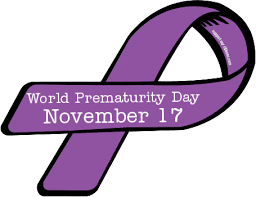 World Prematurity Day is observed on November 17 each year. It aims to raise awareness about the issues associated with preterm birth. moderate to late preterm (32 to <37 weeks). Induction or caesarean birth should not be planned before 39 completed weeks unless medically indicated. Every year, an estimated 15 million babies are born preterm (before 37 completed weeks of gestation), and this number is rising. Preterm birth complications are the leading cause of death among children under 5 years of age, responsible for nearly 1 million deaths in 2015. Three-quarters of them could be saved with current, cost-effective interventions. Across 184 countries, the rate of preterm birth ranges from 5% to 18% of babies born. Up to 75% of deaths of preterm babies are preventable. Inequalities in survival rates around the world are stark. In low-income settings, half of the babies born at or below 32 weeks (2 months early) die due to a lack of feasible, cost-effective care, such as warmth, breastfeeding support, and basic care for infections and breathing difficulties. Nepal has its first ever National Population Policy endorsed by the Cabinet. The policy saw the day light when world leaders have just agreed to tackle emerging population and development priorities following the successful completion of 20 years of Programme of Action of the International Conference on Population and Development (ICPD), Cairo, 1994.